Seat: L42" x W12" x H18"
Top Dimension: L42" x W12" x H30"
Back: L42" x W6" x H31"
Size: 22'' x 13''x 9'' inch. We are offering School Benches. 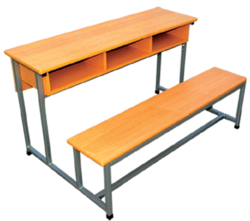 We are involved in offering best quality of School Desk Furniture. Further, these products are designed as per the advance technology. 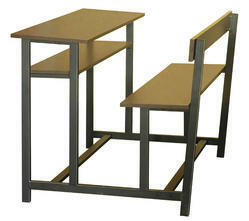 Having a definite quality management system, we are immersed in bringing forth a top class consignment of Desk Bench.